Lower Town Quay is used only at low water. A new quay at Higher Town is used when the tide is higher. 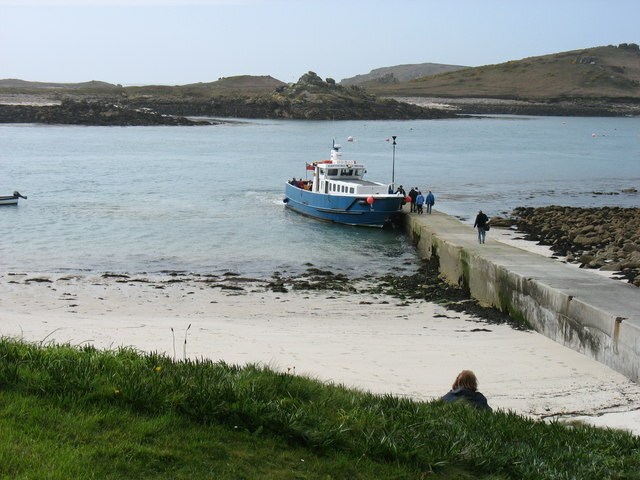 In the background is the island of Tean, with part of St Helen's showing beyond.